On a bit of a mission to tidy up Sick Kid's remaining Munros, now that she's back from Belguim and all. 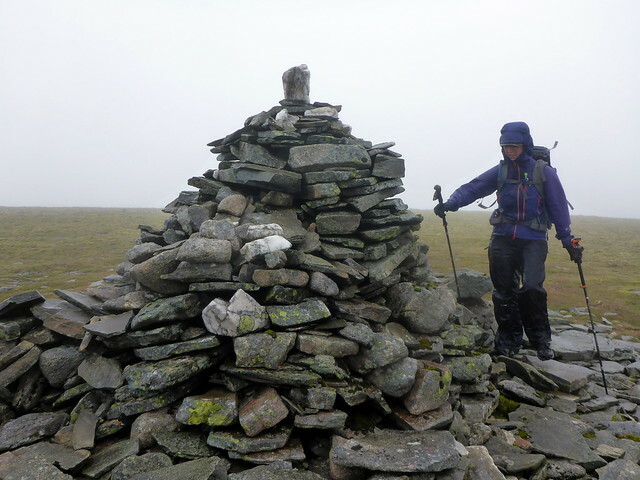 This weekend should have been Kintail and Affric, but the weather forecast was not obliging. 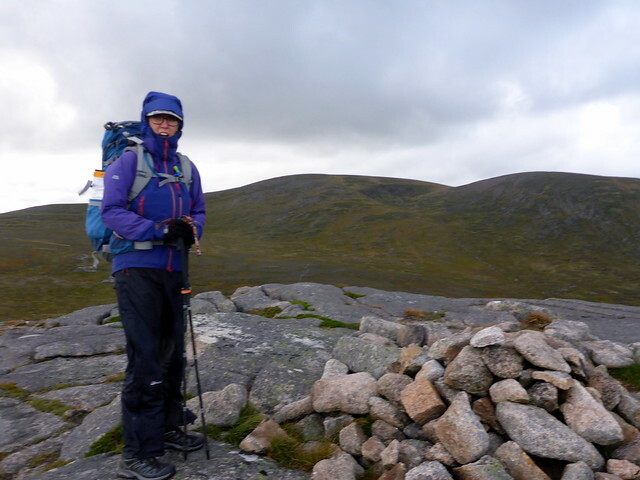 Better to head east again and snap up the remaining hills in the Cairngorms. 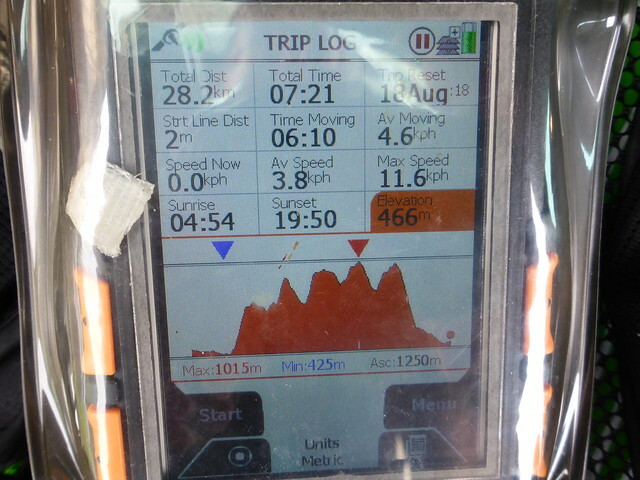 We headed up to Braemar late morning and were parked at the Linn of Dee by 2:30. The parking meter had the payment charges removed from it - I thought it was £2 per day and fed £4 in, to receive a ticket that expired two hours before I arrived...go figure. 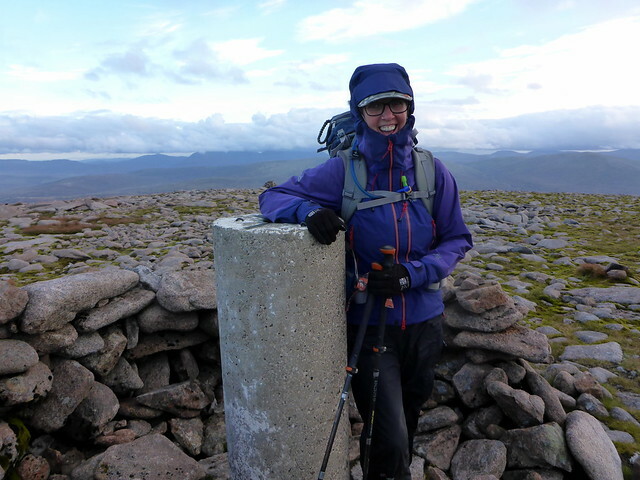 Anyway we set off for White Bridge and Beinn Bhrotain in sunshine, but with a cold and strong wind in our faces. 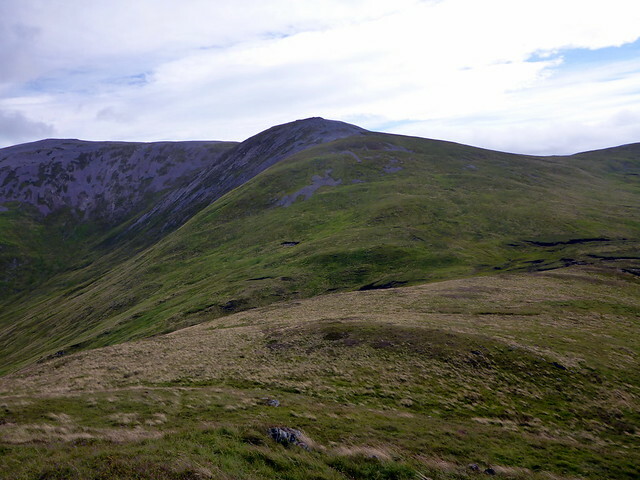 Plan was to ascend over Carn Geldie (Sim) and take in the Munro Top of Carn Cloich-Mhuillin on the way to Bhrotain. I wasn't sure where to camp - given the strong wind, the flat mossy Moine Mor was perhaps going to be a little bit exposed. Good walking to White Bridge, then we cut across fields to Carn Geldie. 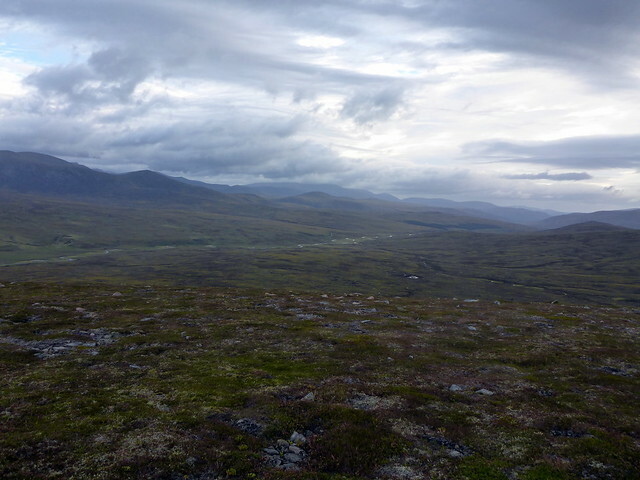 From the summit of the Sim, it was an unappetising tramp over bog and heather towards the flanks of Carn Fiaclach, easier going from there to the summit of Cloich-Mhuillin. Good views up into Glen Dee and the Devil's Point. 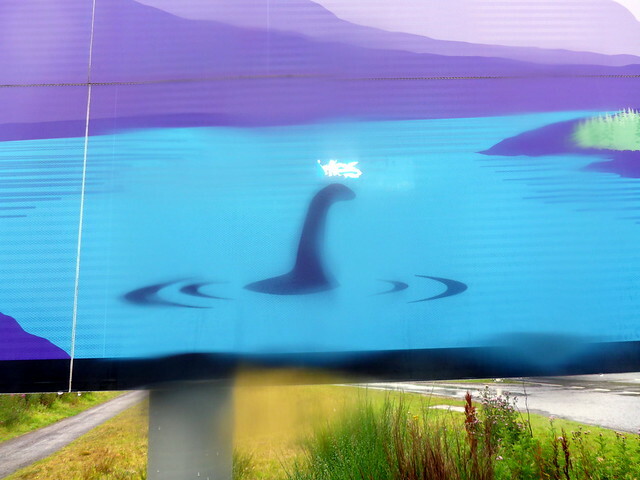 We paused for a sandwich, taking shelter from the wind. Another couple of kilometres took us to the stony summit of Bhrotain, first time I've had a view from here. 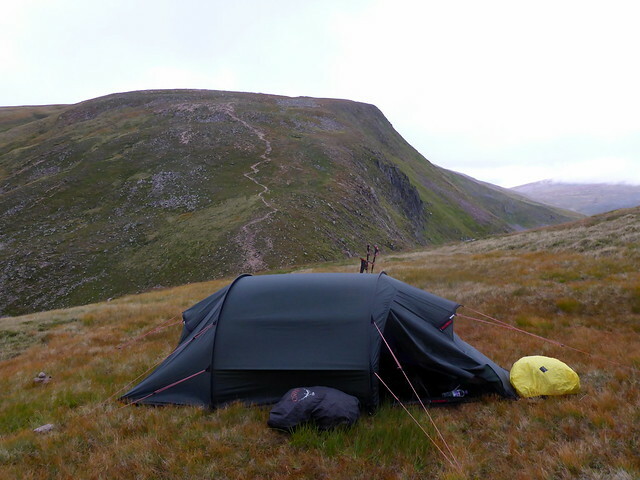 We dropped down to the bealach with Leac Gorm, found a relatively sheltered spot and decided to pitch for the night at 1000m, highest we've camped for a while. Allison heard a buzzing sound from somewhere underneath her - then it stopped. And started again, infuriated. I investigated and found a bee incarcerated beneath the ground sheet. 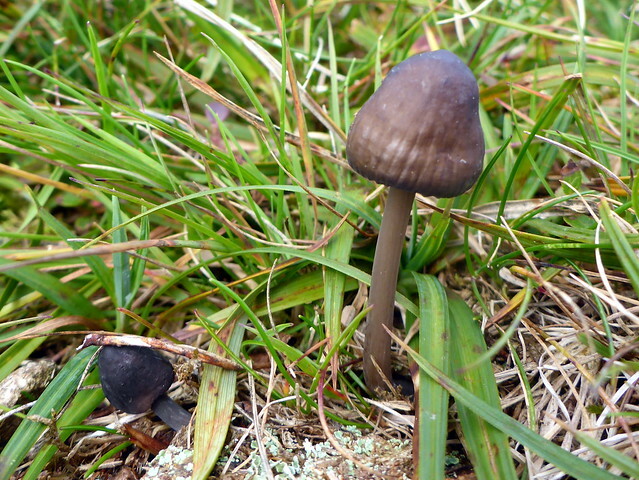 By a deft bit of work whilst still inside the tent I managed to allow it to clamber out to freedom. 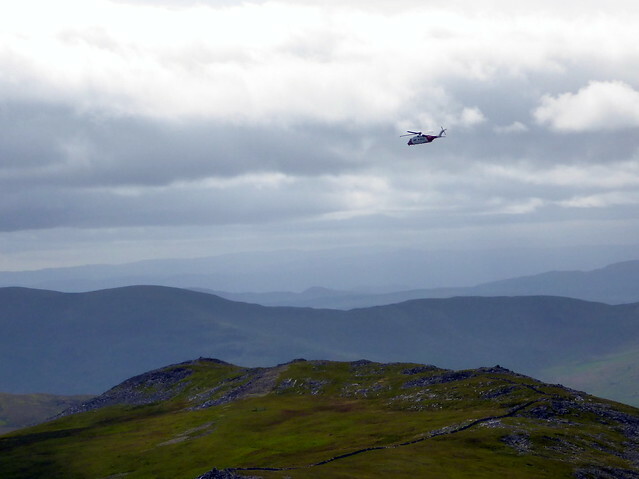 We met another couple of walkers returning from Mullach. 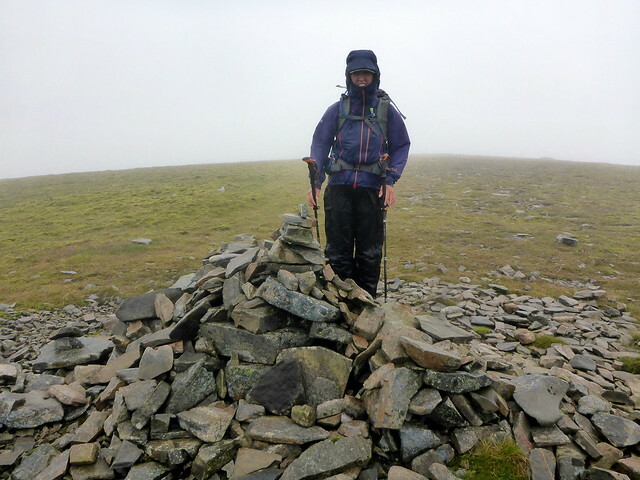 Up to the summit cairn, wrong direction off initially, then onwards to Coire Eindart, where we picked up an ATV track descending the shoulder. 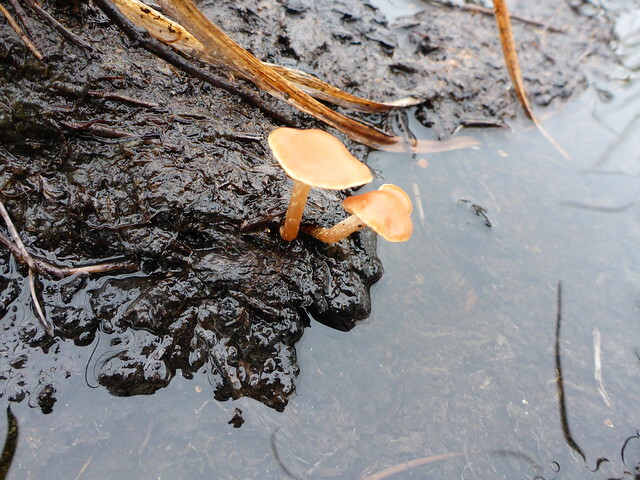 More hard going through peat troughs and bog, not the greatest for Allison's back. We paused for lunch by a large rock with a weathered aged rowan tree clinging to it. 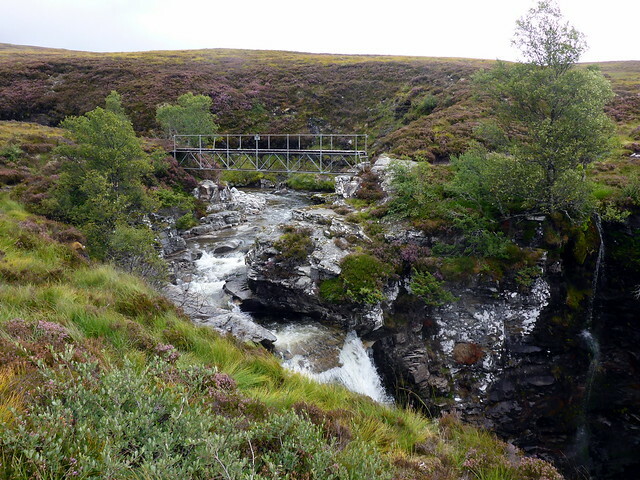 Then down to the River Feshie where we picked up a track leading east for a bit to a small bridge. I was somewhat perplexed by the course of the river, particularly when it doubled back upon itself. 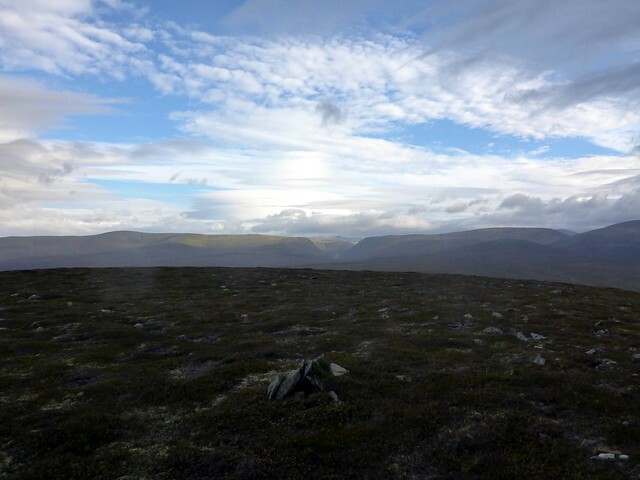 Ahead - somewhere - lay Carn Ealar and An Sgarsoch, hills that we'd previously done from the south. I seemed to remember an insignificant drop between them. What I could see through the mist and rain puzzled me, as there seemed to be a most significant drop between the two hills I took to be they. 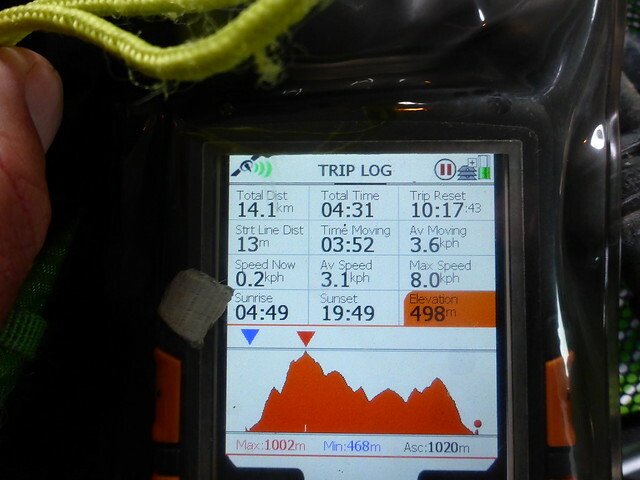 A look at the map confirmed around 300m drop between the pair. My memory needs adjustments... 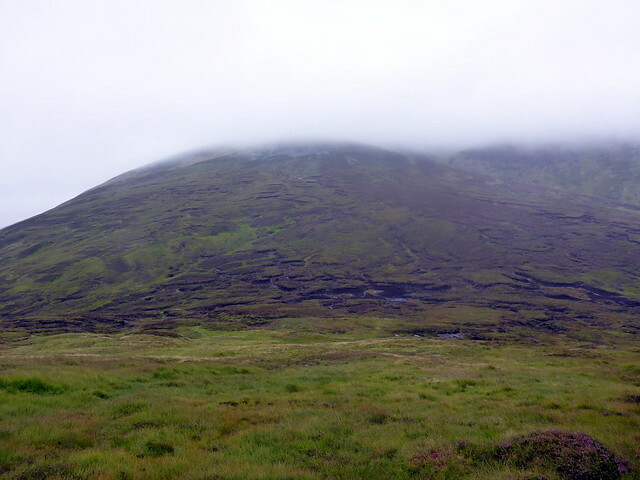 I had also hoped there might be a track following the boundary line up the hill - there often is - but there wasn't, just more bog and peat hags to negotiate. Getting up the 500m from the river to the summit seemed to go on forever, possibly because due to the clag there was no summit to see. From Carn Ealar we set about losing most of the height we'd so recently gained. I had no recollection of this section at all, maybe as the other two times I'd been here it was under snow. 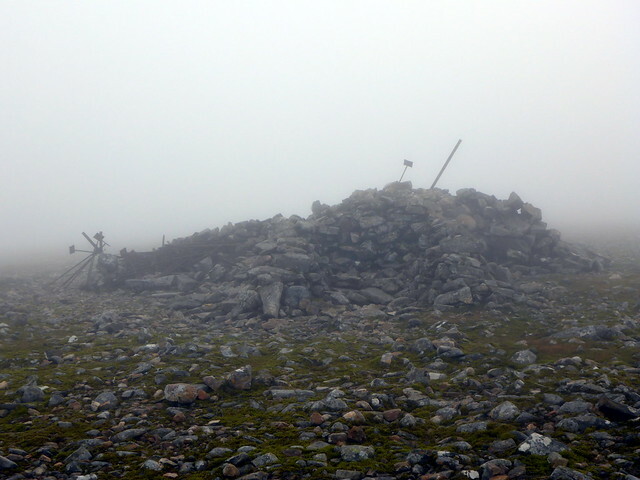 A traipse up to the large cairn on An Sgarsoch which provided brief shelter from the wild wind. 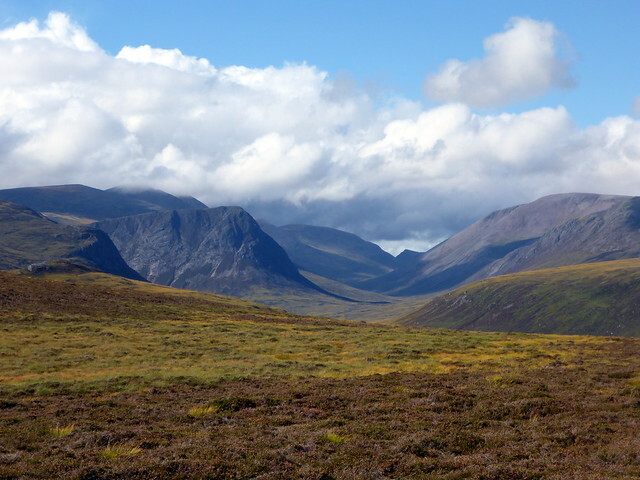 I had various options for Sims from here, but given the weather I decided we'd cut them short and descend towards Sgarsoch Beag, hoping to find some shelter for the tent in the lee of the mountain. 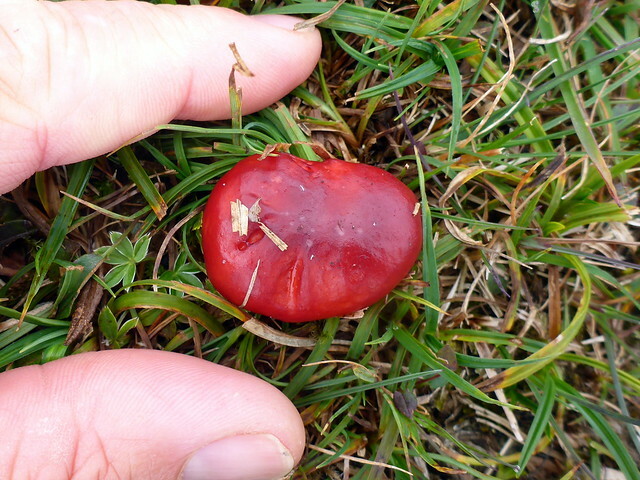 We did manage to find a reasonably dry and level area, but on the lumpy side. Retreating from the rain we had our tea and an early bed. Saturday was brighter, dry but still windy. 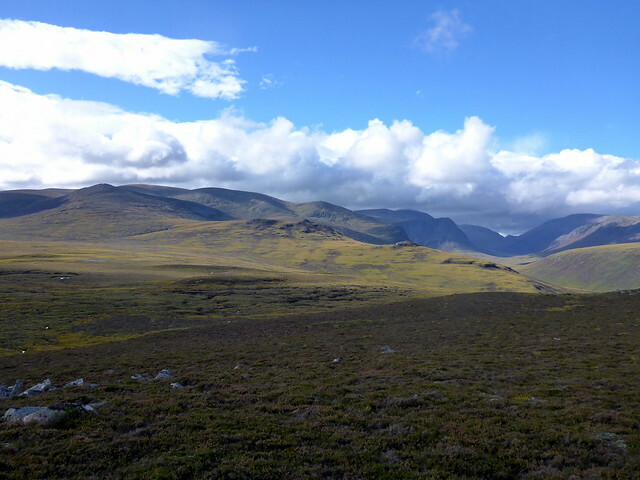 We set off over Sgarsoch Beag and picked up a fairly good track heading towards the ruins of Geldie Lodge, one of the three main shooting lodges (along with Bynack & Derry) of the 19th Century Cairngorms. A good place to wildcamp too. There were several river fordings to be carried out before we gained the track back to White Bridge. Back at a busy Linn of Dee my parking ticket appeared to have been accepted. We shoved the rucksacks into the car and drove to Braemar, stopping at the Co-Op for some lunch. 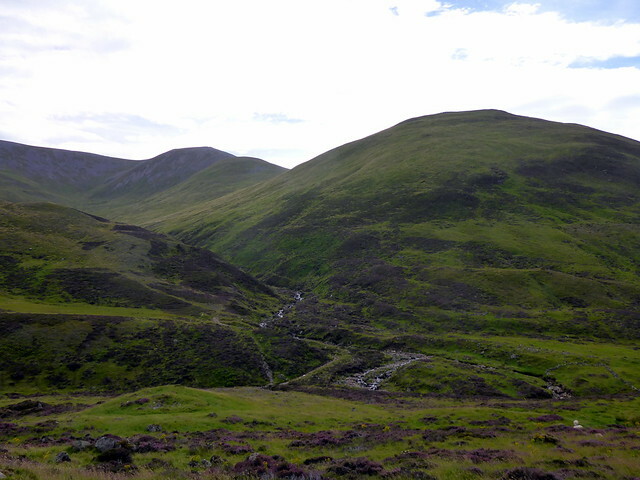 Then down to the Devil's Elbow, where there was unfinished business with Creag Leacach. 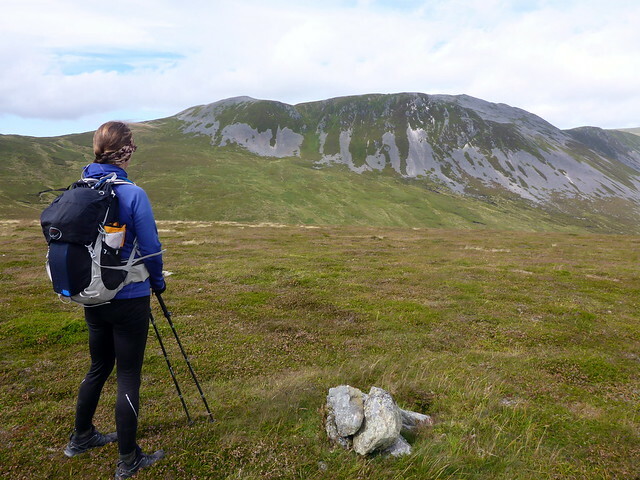 I'd left this one out of my round last week as Allison needed it - I had drawn up a nice route from Glenshee Outdoor Centre that took in 6 Sims and Creag Leacach, but there was not the time to undertake this today. Instead, we drove to the parking place at the "Connecting Contours" exhibition and set off along the Allt Coire a'Bhathaich. The riverside path is significantly eroded in places. 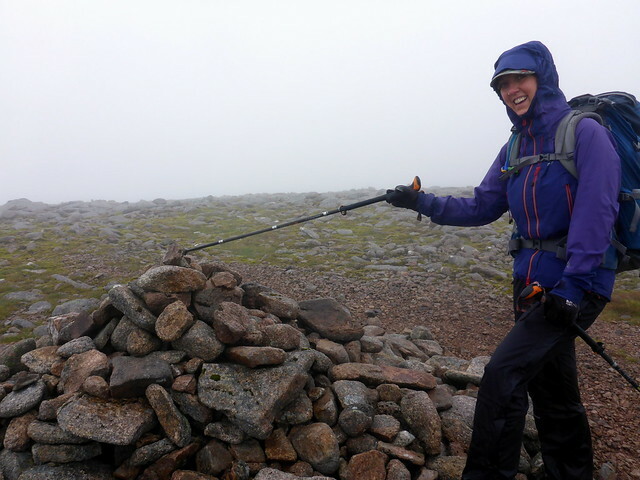 Up to Meall Gorm then to the 943m Munro Top before the summit of Creag Leacach was reached. It was still early and there were Sims nearby - how many could I get away with? 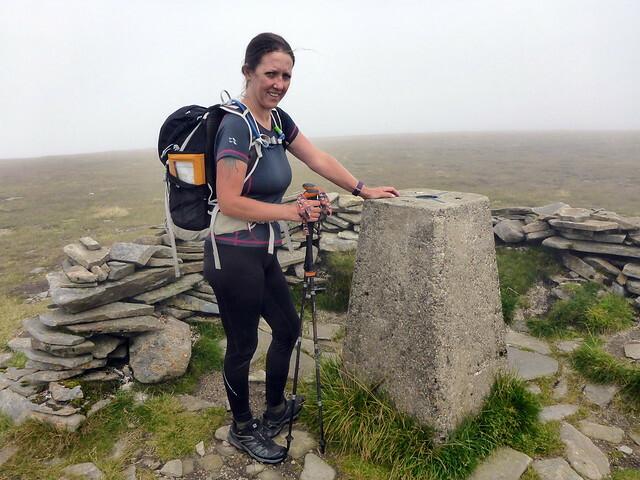 We returned to the Munro Top, skirting round the south side where Allison broke a giant boulder in half and nearly ended up in a giant hole (apparently). One of the MRT helicopters flew overhead. Then we headed out to Carn Ait, watched by suspicious sheep. Then down to the interestingly named Mallrenheskein, the name more interesting than the featureless summit. Black Hill was sitting just a kilometre (and 100m down, 100m up) away - Allison agreed gracefully we could add it too. So 4 Sims included in the afternoon, I was quite pleased. We returned much the same way as we'd come out, getting back to the car just after 5. What now? Should we camp here or head elsewhere? We'd already decided on the Drumochter 4 for Sunday. 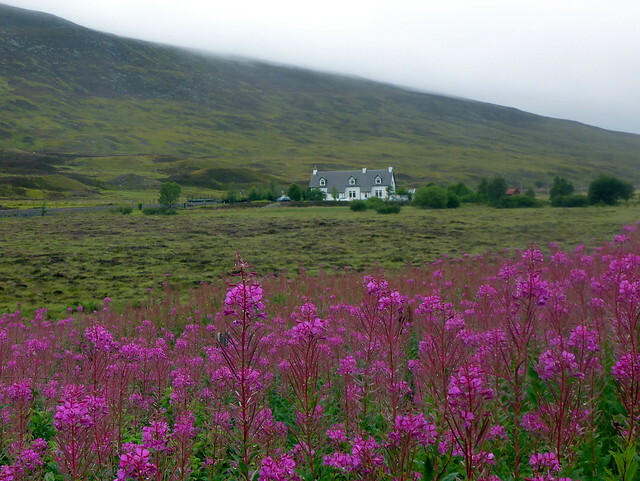 In the end we drove towards Dalwhinnie, camping near the start of the route. Pleasant when we pitched, I was able to use the new Trekology chairs I'd bought for the first time. 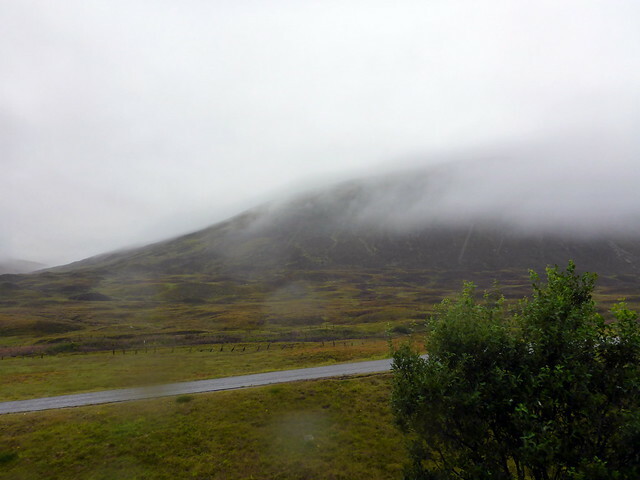 Rain overnight and clag down in the morning. Ah well. 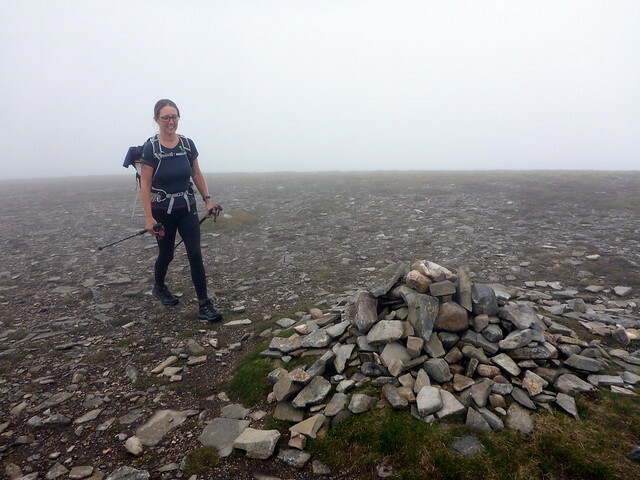 We walked the 4km to Balsporran Cottages and set off up Geal Charn. I took the wrong bull-dozed track, which meant we were headed up to the north of the Allt Beul an Sporain rather than the south. 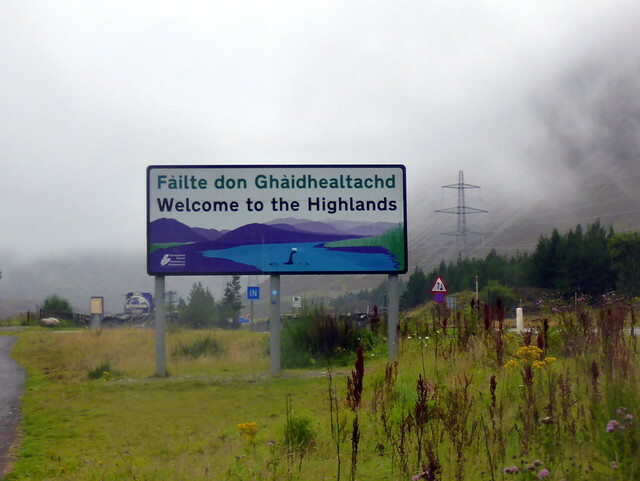 To correct this error would mean an unpleasant drop down into the gorge - or we could meet at the top...oh by the way, there's a wee Sim (Creagan Mor) nearby...well you can guess the rest. However the diversion had added several kilometres onto the day's route. 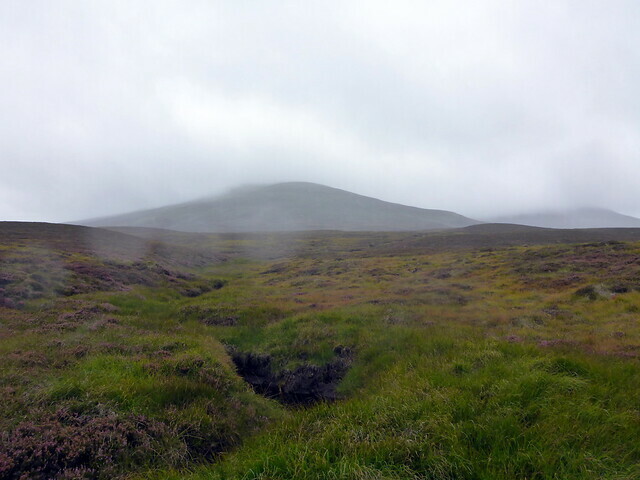 Over bog and hag we came up the back of Geal Charn and I hoped for easy, path friendly going from now on. Maybe it was the clag, but I found far fewer paths than I seemed to remember on this circuit. 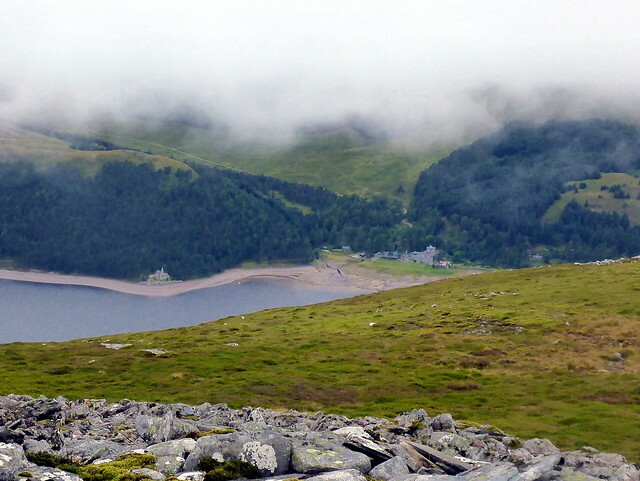 Dropping down from Geal Charn I heard the unmistakable sound of churchbells - now that's a first from a Munro. 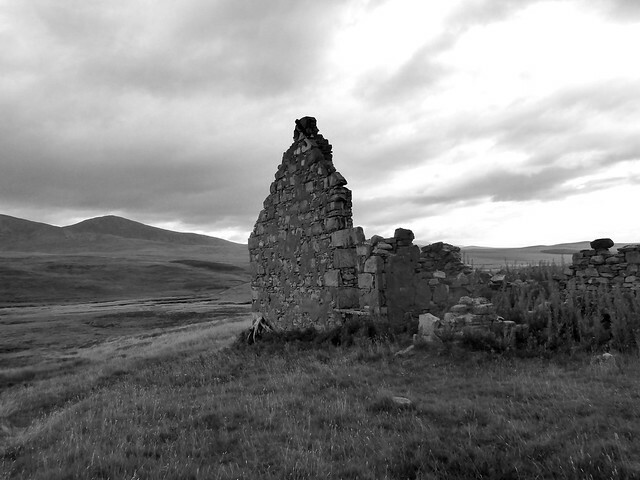 We reckoned they were from the church at Ben Alder Lodge. 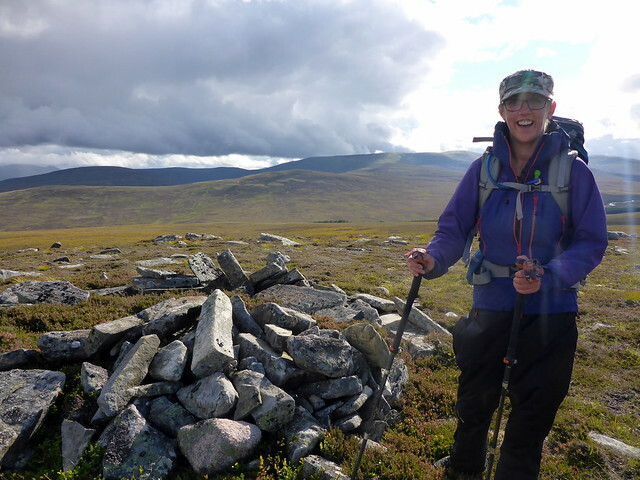 We headed for A'Mharconich which seemed to take an eternity and paused for our lunch at the cairn, passing a number of walkers on their way up as we went down. The section to Beinn Udlamain was fine, clear path all the way. 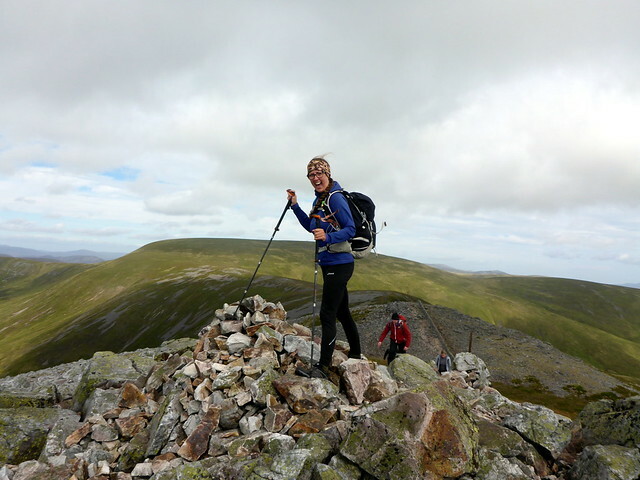 I remembered this as being my 50th Munro first time round - seems a lifetime ago. 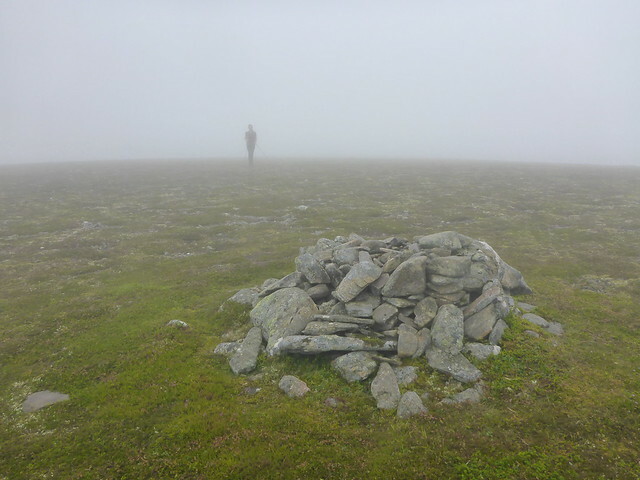 Temptation to bag another Sim from Carn Ic Loumhaidh was resisted as we struggled with navigation in the mist to head towards Sgairneach Mhor. 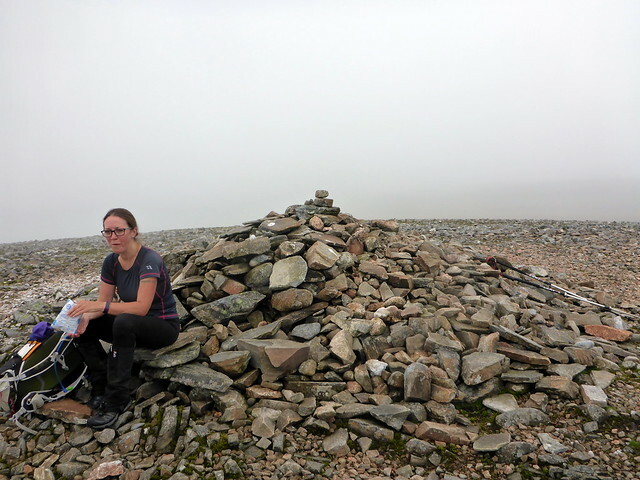 Another Munro I have no recollection of. Descent wasn't helped by finding the route I was using was one I had drawn up to include the Sow of Atholl, which we were not going to be adding today. Managed to find an ATV track descending to the bridge over Allt Coire Dhomhain and then back to the car on the track, the clag lifting a bit as we reached our destination. So 10 more down on her hit list. Heck! That's quite a bagging session . I think there are some hills here I will probably never get up . I did something similar to your first two days a couple of weeks ago, and find the wind similarly "fresh"! In that context I'm quite surprised that your pitch near Leac Ghorm was sheltered! I suffered 2 nights of very fitful sleep due to furious tent flapping. Is your tent particularly good in this respect?? Alteknacker wrote: Heck! That's quite a bagging session . I think there are some hills here I will probably never get up .